My Uncle Paul used to belong to a social club that occassionally held multi course dinners. One of these dinners was covered by a local newspaper and included his recipe for Bread Pudding. 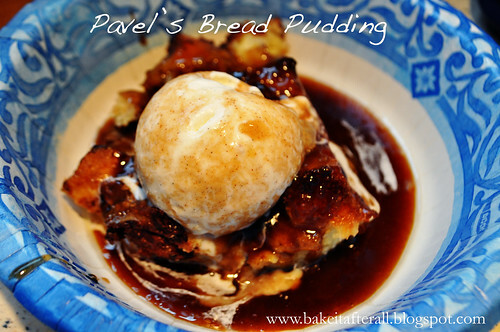 My uncle was quite proud of his Polish heritage and sometimes called himself Pavel, so the recipe was printed as "Pavel's Bread Pudding." I have had a clipping of the newspaper for years and always intended to make it for my mom, my aunt, and my sister. 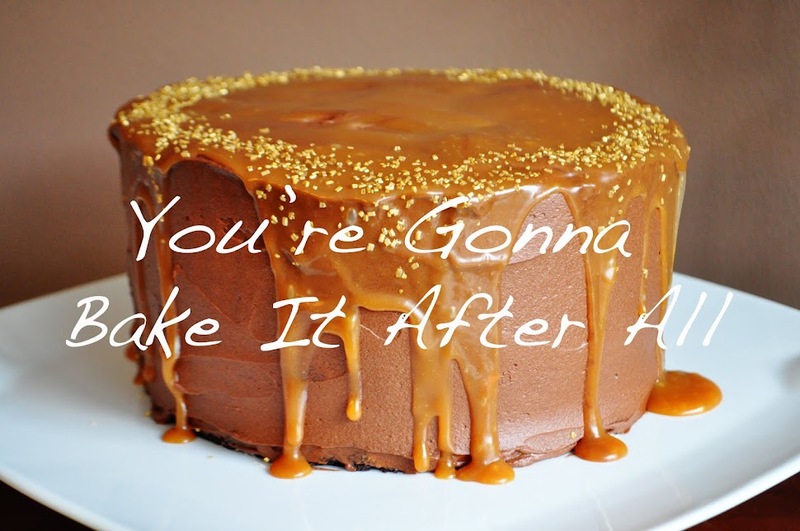 It is a very rich and decadent dessert, so it had to be the right occasion. Finally this summer, I decided to make it for my aunt's hot tub party, even though the occasion did not at all call for a rich and decadent dessert! We really enjoyed this dessert, especially the sauce, and it would be a perfect dessert for the holidays. 1. Butter a 13x9-inch pan. In a bowl, mix the bread, 8 tablespoons melted butter, chocolate chips, and nuts if using. Spoon into the pan. 2. In a bowl, whisk together half-and-half, milk, sugar, eggs, yolks, vanilla, and salt. Pour over bread. Let sit at least 30 minutes. Meanwhile, preheat the oven to 350F. 3. 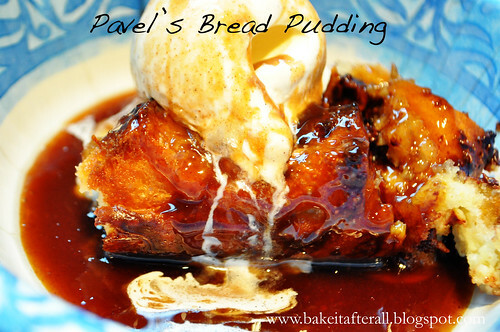 Drizzle the bread pudding with the remaining 2 tablespoons of melted butter; sprinkle with the brown sugar. Bake until set, about 1 hour. 1. Melt the butter in a small saucepan. Add the sugar, cinnamon, and salt. Stir until dissolved and bully. Remove from heat. Stir in rum and vanilla. Serve warm over pudding. I think we need this again at a party. It looks so good.